We can all agree that “ADS” are annoying, we hate them, but they are a required evil since many developers, websites and services rely on that to keep a steady income stream. I’m the same way as many of you, I hate ads and I will go out of my way to remove as much as possible. 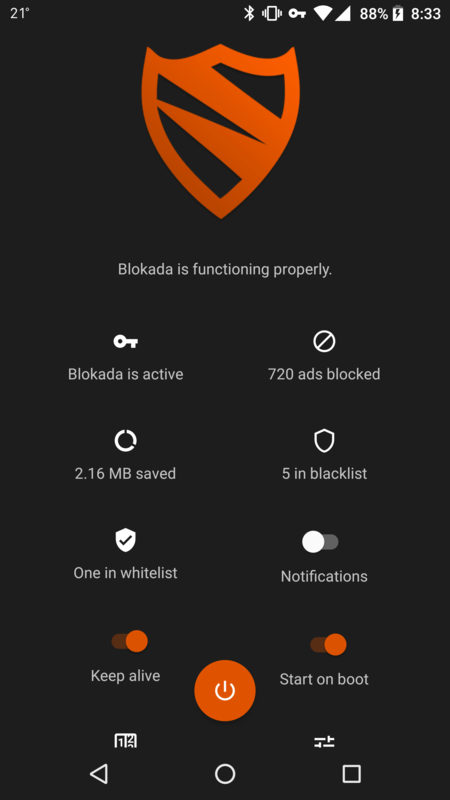 Blokada is a none-root AD blocker software that setups a “Local VPN” that filters out those ads in applications, websites and the likes. Sure this stops the revenue stream from applications to be delivered to the app developer, but I’d rather have a paid option than “ADS”. The problem I’ve seen with these type of applications on mobile devices is that they are battery hungry and will continuously run CPU cycles on the device which it turns gives you poor battery life. I’ve only had the pleasure of using 2 apps at this time that didn’t cause this problem. Blokada has been great at doing what it set forth while making sure I didn’t end up without power. If you want to give this application a whirl you’ll need to allow unknown installation on your device as well as grabbing yourself a copy over on XDA.